Houses & Homes VA: Americans are spending less, so where does the extra money go? Americans are spending less, so where does the extra money go? According to the Bureau of Economic Analysis (part of the U.S. Department of Commerce), Americans spent less money in December of last year than expected. Although the decrease in spending was only .3% less than November this was actually the largest decline in spending in more than 5 years. It was also the first time since January of 2014 that spending actually decreased although when we consider all of last year personal spending increased an average of 3.9% overall. The question is, why such a dramatic change in spending and does this change reflect an increase in savings or is the money being spent elsewhere? A recent report by Wall Street Journal states that Americans have extra money due in large part to lower prices at the pump but the numbers show that all of this money is not making its way back into the economy. According to chief economist at Visa, Wayne Best, about ½ of Americans are saving the money that they are no longer spending on fuel and about ¼ are attempting to pay down their debts. The remaining 25% are spending the extra cash on necessities such as food and clothing. Although a .3% reduction in spending doesn’t sound like much it actually represents billions of dollars not being spent by consumers, 75 billion to be exact. As a result of spending less money in December that’s the amount of additional money that did not reenter the economy as compared to the previous month of November. Many experts feel that the last recession taught many Americans the importance of savings and being financially prepared for the future. Oddly however, much of the money being saved is not being placed into banks or credit unions. Instead, many people prefer to “hide” at least some of their money in other locations. 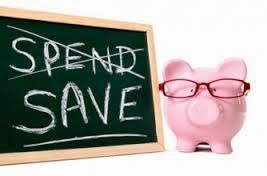 American Express recently surveyed 1,820 adults asking them where they prefer to place any savings they may have. 29% of the respondents stated that they keep at least a portion of their extra cash hidden somewhere at home and a surprising 67% percent of persons from the “Millennial” generation (people born between the early 1980’s and early 2,000’s) prefer to keep their money outside of any type of depositories. Unfortunately not all Americans are in a position to benefit from lower prices at the pump. Another new survey from Pew Charitable Trusts found that 70% of American households face either heavy debt, little to no savings or expenses that exceed their income. Some households face all of these situations and unfortunately more than half of all the people surveyed don’t have enough savings to cover even 1 month’s expenses. How does all of this affect the real estate industry? Well, apparently most of this money is not being used to finance the purchase of a home. According to the Commerce Department the 4th quarter of 2014 showed home ownership in the U.S. to be 63.9%, the lowest figure in the last 20 years. But that doesn’t predict doom and gloom for the real estate market. Everything considered it is clear that many Americans have discovered the importance of savings and are opting to build up a nice little “nest egg” before making a major purchase such as a home. In the end I believe that this is actually good news for our industry as well as the economy in general.